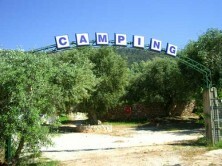 Westwards of Lefkada and in one of her better beaches, in a space sunk in the green and in the trees is found the Camping Kathisma. It abstains 12 kilometres from the capital and has near his one beautiful village, the Ag. Nikitas. In very near distance are found some of the better beaches of island in which can each one charm from them.